Guaranteed flat rate moving quote on all house moves. We require a free in home estimate to properly survey the exact inventory, and details of your move to give you an exact flat rate moving quote. Schedule In Home Quote Today! Prorated every 15 minutes after the 2 hour minimum. Includes Moving Truck, Movers, Dollies, Pads, Tools, and Fuel. Free Quote on Hourly Rate, Travel Fee, and Estimated Hours. 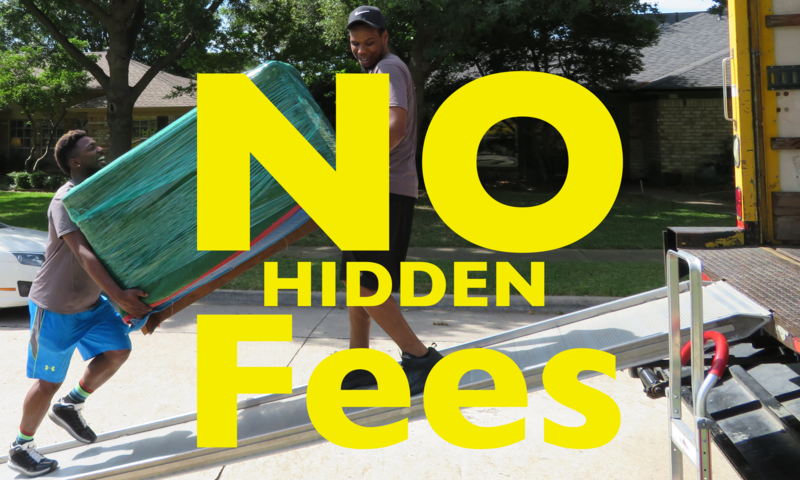 Free Quote on long distance moves between Dallas, Plano, Austin, Houston, and San Antonio. Texas Movers – We service the entire state. Plano Addison Dallas pricing rates quote estimate.